Dear #COLLEGELIFE, it's time to break up with 'broke'! That's why our team at Know Money Inc. created Bankroll Summit, a one-day money conference designed to help college students in South Carolina take action to build better relationships with their finances and explore the opportunities of entrepreneurship, right on campus. On Wednesday, April 3, 2019, join 150 students from across the state for an action-packed day, including a morning "Money on Mind" mediation, presentations from millennial and Gen Z money experts, fireside chats with college entrepreneurs, and more! To help you stack your bank for school, we'll also be giving away our Inaugural Bankroll Scholarship sponsored by Plutus Foundation! Applications are available for registered attendees. Be sure to register with your .edu email address at bankrollsummit.com by March 27th at 11:59 PM/EST to be eligible. 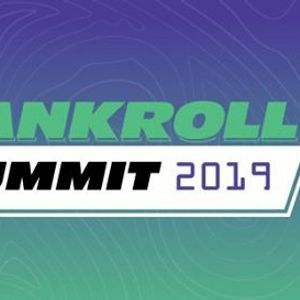 Follow @BankrollSummit on Instagram for ongoing updates, and visit BankrollSummit.com for addiitonal information and the full event schedule! If you have questions, please contact our team at aW5mbyB8IGJhbmtyb2xsc3VtbWl0ICEgY29t.